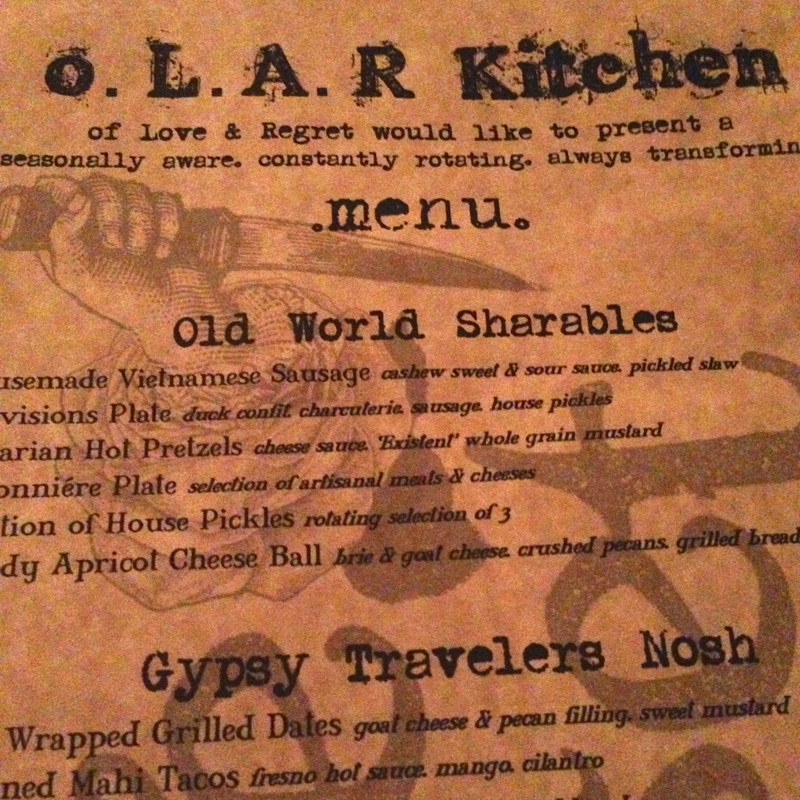 Of Love and Regret – eating my way through Charm City! This place is not pretentious; it has a neighborhood and rustic feel. Oh, and the owners and staff of this place are so much fun. I stopped in on a Saturday night – grabbed 3 seats at the bar with not much trouble. It’s a great date night spot – in fact, if your lucky, you can people watch those on their first date. Sit at the bar, chat with them, they know everything about beer and wine. They can find something you will like, even if you aren’t sure that you know what you like. It took them about 6 seconds to recommend me a wine. They also use the flavors of the wine as the name, I went with Strawberries and Rhubarb – which is a ‘Cuvee Special Rose’ from the Closs Cibonne Winery in France. We started with the Saisonniére Plate selection of artisanal meats & cheeses – a gouda, a blue and a camembert cheeses and an andouille, speck and a spicy salami. The plate also has pickles, dried fruits and mustards. Plus, they will give you as much bread as you want. We then split a bunch of other small plates and the burger. The best thing on this table was speck wrapped grilled dates. What?! They take goat cheese and blend it with pecans, then stuff the dates with this creamy filling. Then they wrap the dates with speck, and put it on the grill, until the meat is crispy. Next, they drizzle the dish with sweet Dijon mustard. Yums. More please. Dang! 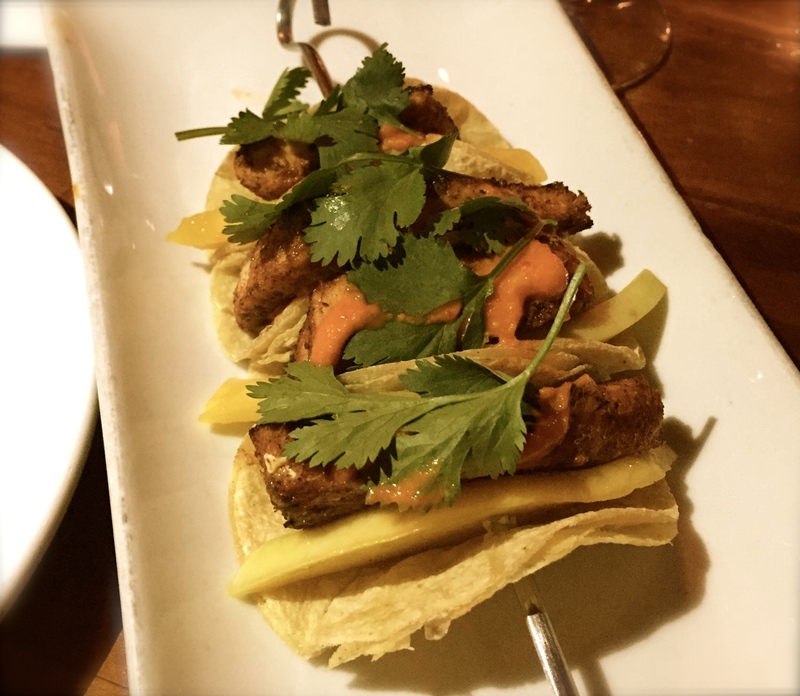 Next, we had the blackened Mahi tacos – super cute and perfect for splitting. Mine was spicy – probably from Fresno hot sauce. But the mango and cilantro really rounded out the dish and left me wishing we had 14 more. The burger of the day was a beef burger with blue cheese and a jam of candied bacon and roasted red pepper. They even cut it in thirds for us so we didn’t “cause a bar fight”. These burgers are good. It’s fun when they change regularly. Rachel over at likethetea likes it too. 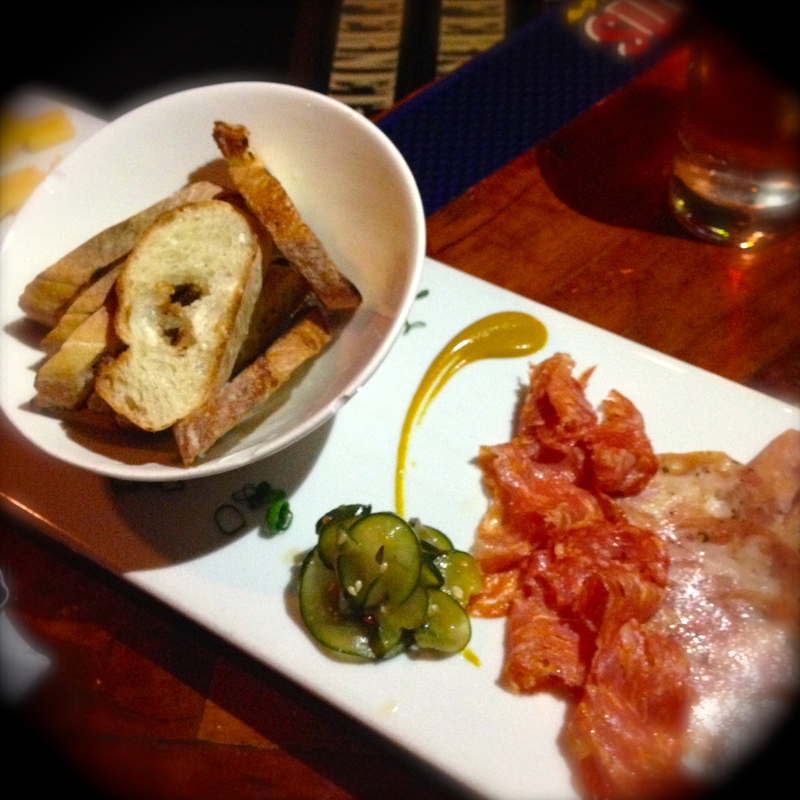 This entry was posted in Canton, Charm City, Dinner, Drinks, Hooray!!! Winner!. Bookmark the permalink. actually went on a second date there haha. it’s a great spot!